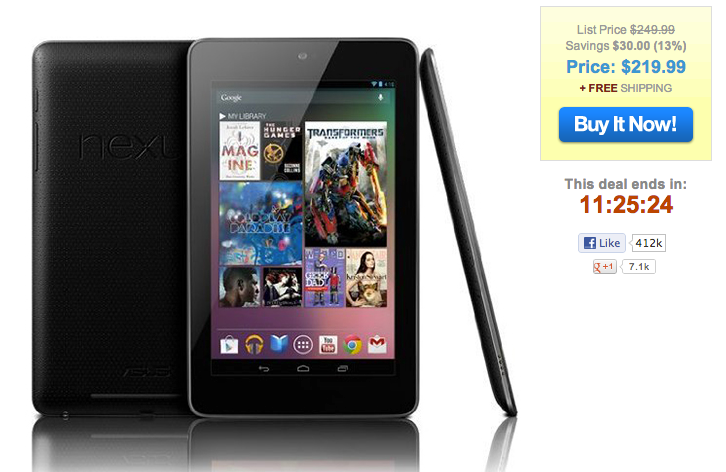 Before too many of you make a mistake, we wanted to remind you that Google recently dropped the price of the 16GB Nexus 7 to $199. That’s right, 1SaleADay’s deal today, is not a deal. At $220, even with free shipping, their 16GB N7 is more expensive than if you were to buy it straight from Google.